Helen Smallwood on 3 Counties Radio - Talking Acupuncture and Depression. Follow Us for the Latest Acupuncture Research and News! Shaftesbury Clinic was established in Bedford in 2008. This popular clinic has developed a reputation for professionalism and integrity, and prides itself on providing high quality acupuncture treatments with highly trained and regulated acupuncturists (all members of the British Acupuncture Council - BAcC). This is a popular practice where many of our patients come from direct recommendations. We utilise a mix of the latest scientific research alongside the traditional model of acupuncture. We are always happy to talk to you about your individual requirements, and provide free 20 minute consultations to give you the opportunity find out how we work, and to ask any questions you may have to help you decide whether acupuncture is suitable for you. We also have a naturopath, nutritionist and reflexologist at the clinic. Alongside this, we now also offer Counselling and Psychotherapy including - Behavioural, Psychodynamic, CBT, Integrative, Person Centred and Solution focused. We also like to stay up to date, and we are on Twitter, Facebook, Scoop.it and LinkedIn, where we share the latest research and acupuncture news. As professional practitioners of acupuncture, we apply the rational and evidence-based model of East Asian healthcare: a valuable and distinct medical tradition with contemporary clinical relevance. Our diagnostic skills and clinical techniques enable us to provide holistic, safe and individual treatments for patients presenting with a wide variety of health concerns. We regularly liaise with GP's, consultants and other healthcare providers to ensure a joined-up service, and to encourage health promotion and ongoing self-care. We have an inherent motivation to provide effective treatment that enhances quality of life, and a commitment to ongoing training through continuous professional development (CPD) and reflective practice to identify learning opportunities. Established by Helen Smallwood in 2008, this is a popular practice where many of our patients come from direct recommendations. Each of our acupuncturists have qualified from the College of Traditional Acupuncture (CTA - Warwickshire) after three years’ training. They each have a Licentiate in Acupuncture and an honours degree (BA) in Traditional Acupuncture accredited by Oxford Brookes. These degrees are validated by the British Acupuncture Accreditation Board BAAB. All our acupuncturists are members of the British Acupuncture Council (BAcC) and therefore bound by their codes of safety and ethics. They each carry full professional indemnity, and public liability insurance cover. The clinic premises are licenced by Bedford Borough Council. Helen, Michelle and Philip are each is licensed by Bedford Borough Council to carry out acupuncture at the Shaftesbury Clinic. 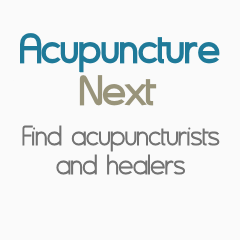 Helen is the Regional Group Co-ordinator from the Bedfordshire branch of the British Acupuncture Council. Philip has recently been elected to the Governing Board of the British Acupuncture Council, and is also the Regional Group Co-ordinator of the Northampton Branch of the British Acupuncture Council. All our acupuncturists trained at the College of Traditional Acupuncture in Hatton, Warwks (UK). We all have an honours degree (BA(Hons), and also a Licenciate in Acupuncture, and are all members of the British Acupuncture Council, are fully insured and registerd with the local authority (Bedford Borough Council) to practice acupuncture.